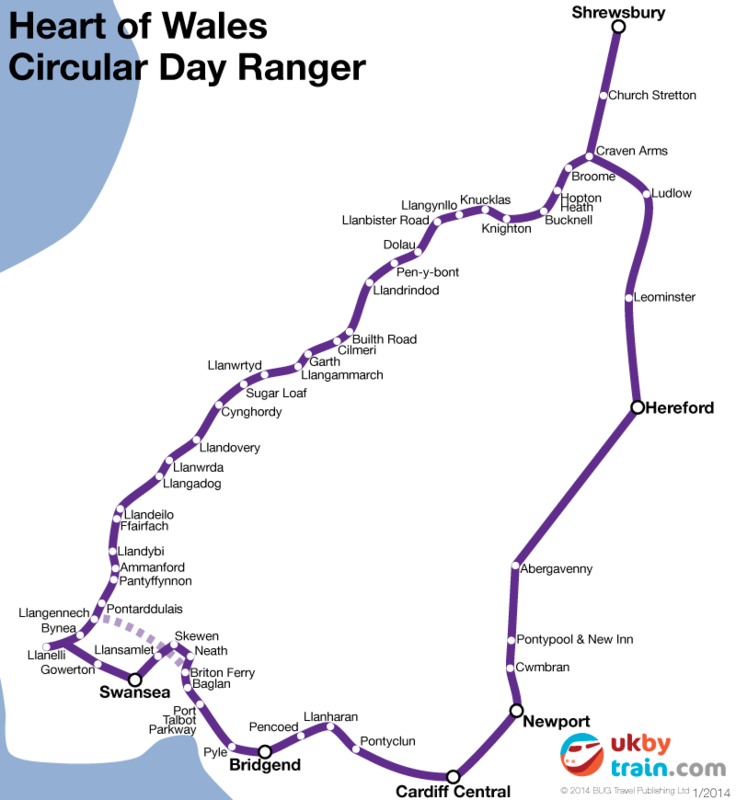 The Heart of Wales Circular Day Ranger is a rail pass that lets you make a circular journey in any direction on the following route. Cardiff Central–Craven Arms–Shrewsbury–Llandrindod Wells–Llanelli–Swansea–Cardiff Central. It is good for one day travel and you can start your journey at any station on the route. Discount fare applied to holders of 16–25 Railcard, Two Together Railcard, Family & Friends Railcard, Senior Railcard, Disabled Persons Railcard and HM Forces Railcard.